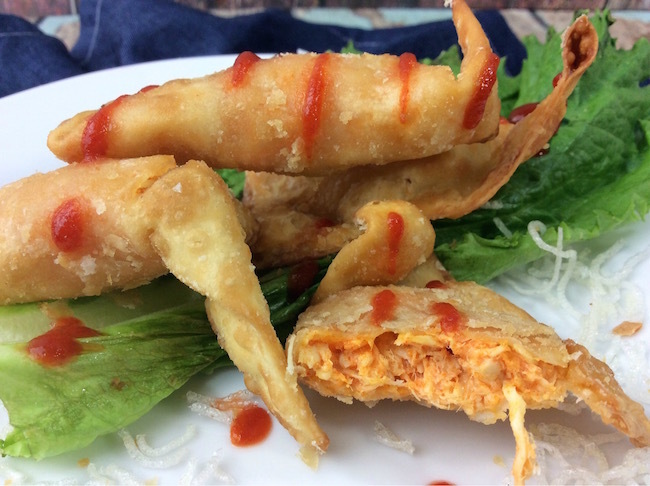 The Buffalo Chicken Blast Appetizers Recipe is brought to you by Just Plum Crazy. 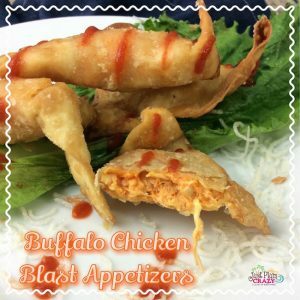 Buffalo Chicken Blast Appetizers Recipe! 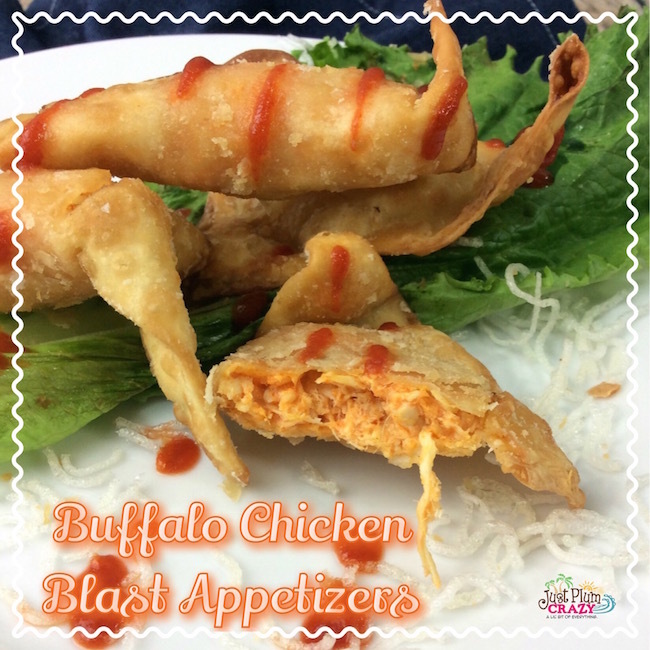 The Buffalo Chicken Blast Appetizers Recipe is perfect for anytime you need to serve appetizers. Made with rotisserie chicken, it’s super easy to make and perfect for your game day party. 1/4 C buffalo wing sauce. 1/2 C shredded mozzarella cheese. 1 C oil for frying pan, plus extra incase more is needed. 1 bottle of sriracha for drizzle sauce. In a medium bowl, add in the chicken, cheese and wing sauce. 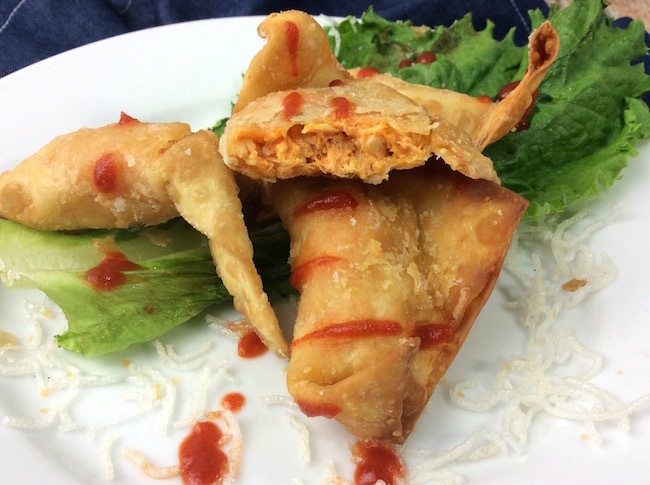 Take the wonton wrapper and fill the middle with the chicken filling, Fold so that the corner meets the other corner, like a triangle. Once oil in the frying pan is hot, Test by sprinkling flour to see if it fries up. Place the wonton into the frying pan and fry on one side for 3 minutes then flip over. Place onto a plate with a paper towel. 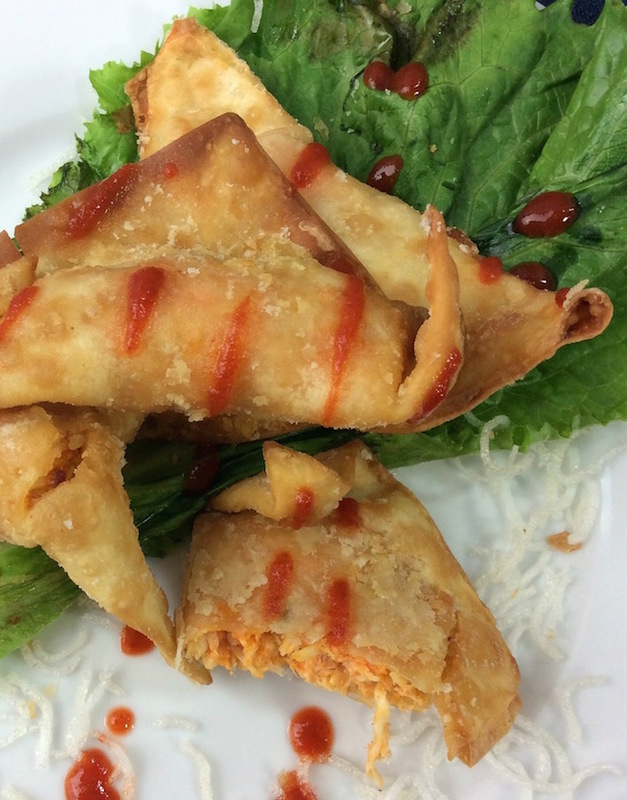 Drizzle the sriracha and enjoy!